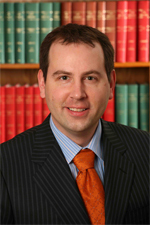 Professor Erik S. Knutsen teaches at Queen’s University, Faculty of Law. His areas of academic interest include tort, insurance, and civil procedure issues. His scholarship is informed by an American-Canadian-Commonwealth comparative perspective and his work has been published in American and Canadian legal publications.